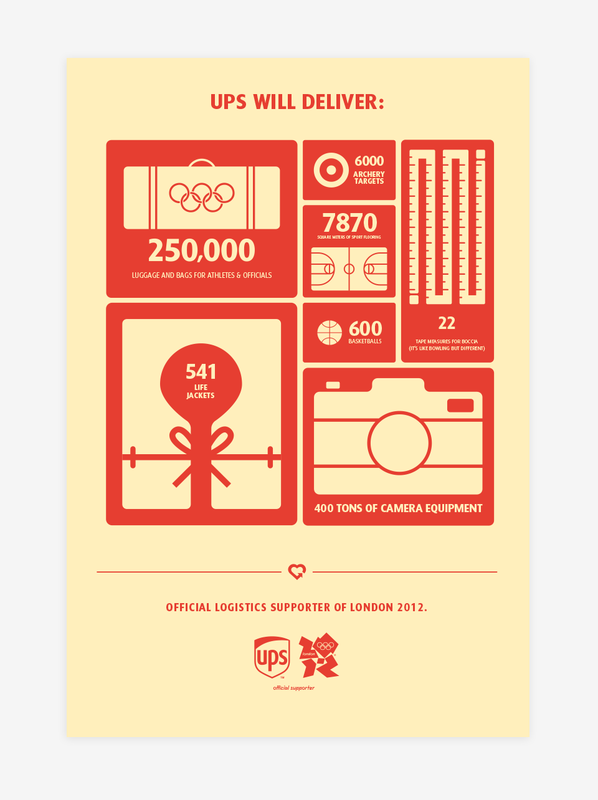 For the first global campaign in their history, UPS wanted to Global Campaign declare what they do better than anyone else: Logistics. The campaign brought a dry, industry term into the spotlight in order to educate a global audience on the values and strengths of UPS. A consistent, visual language was created to work-hard across diverse mediums. This presented several complex problems, including brand implementation within foreign countries, brand guideline development that was considerate to cultural differences and a graphic language that was universally understood. The hearts were the crux of the campaign. Each was symbolic of an industry or feature that UPS specializes in.The hearts Heart Explorations were integral in putting a personal touch on another otherwise dry, B2B focused industry. 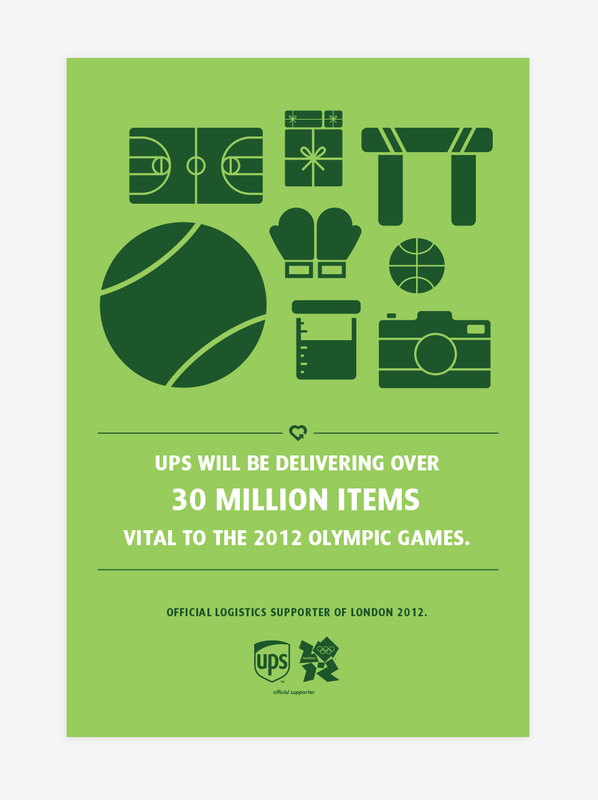 For the 2012 London Summer Olympics, UPS was a major sponsor - and as such - were delivering the entirety of the equipment, supplies and actual courts to the games. A campaign established around educating the public on all that goes into creating the games - as well as visually bolstering the newly established brand - led to a successful launch that saw UPS as the corporate hero of the games.